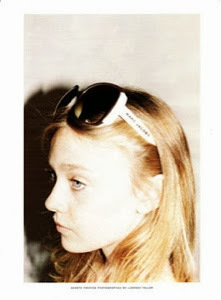 Dakota Fanning is one of my favourite actresses ever. I guess because I saw her growing up at the same time I was. 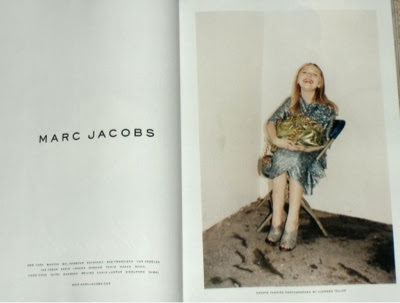 This Marc Jacobs campaign is just perfection, it's from 2007 so it's quite old but I don't care I love it. At the time Dakota was only 12 and had already starred in dozens of films. "Marc loves her as a character and thinks she is beautiful and a great actress," said Robert Duffy, president. "He loved the idea of having this young, small girl in the clothes, and we made them in her size to shoot her in." I like how they have a 'dressing up in mums closet' feel and it's incredible that they specially made the clothes to fit her. 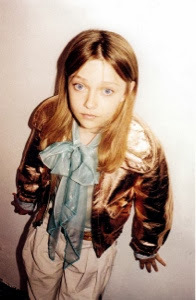 Just imagine Marc Jacobs specially fitting clothes for year at only 12 years old! The images caused a lot of controversy, some think it borders on paedophilia and don't understand why a child is wearing women's clothing. I understand why people would think that but I get a very nostalgic feel from them.